We are well aware that churches are under pressure to save money, whether it involves starting a church building project or remodeling an older facility, and we want to help. Recently, we began a series to do just that, and with this third post, we look at saving through energy efficient HVAC systems. The majority of your energy costs will come from air conditioning your church building. There are a handful of options you can choose from when considering AC (which will typically also involve choosing a heating system). Most residential and small commercial buildings have either a “split” or “package” HVAC system, and these can be suitable for smaller church buildings. With a split system, there is a furnace installed inside the building and a condenser set up outside. With a package system, both parts are installed together so they are most frequently used when space is at a premium. Both of these systems can be used in smaller church buildings. The split system is quite energy efficient, often rating at 90 percent efficiency or more, and is relatively inexpensive to purchase and have installed. Usually, because these units are designed for smaller spaces, churches will install multiple HVAC systems in their facility. 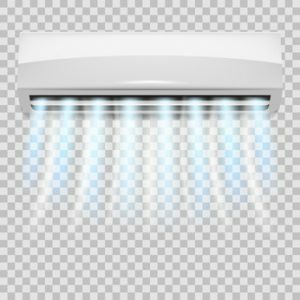 An added benefit of this approach is that if one unit goes down for some reason, the entire facility will not be left without heat or air conditioning. Another option for your church’s HVAC needs is to install separate boiler and chiller systems. This arrangement can be highly efficient since each system works independently of the other. This approach is typically used by larger facilities, with only one of each system needing to be installed. However, installation costs tend to be higher, and if the systems go offline, there will be no heating or cooling in your entire church building until repairs are made. Typically, you also have to turn off one system before turning on the other, making chilly spring mornings a problem if you’ve already transitioned to air conditioning for the summer. These days, with so much attention on going green, we get a lot of questions about solar energy. Solar systems are certainly very energy efficient, but their initial installation costs can be astronomical, especially for a larger church building. Over the years, we’ve worked with numerous churches trying to crunch the numbers in such a way as to make solar affordable. Unfortunately, we haven’t found any organization that can help churches foot the high initial costs in a way that would save the church any money over traditional energy sources. Geothermal energy is another option that some churches are considering. Basically, geothermal energy taps the earth’s temperature to heat and cool your church building—at least to a certain extent. The process involves drilling wells deep into the earth’s surface and using liquids that are either heated (in winter) or cooled (in summer) as they encounter the steady underground temperatures of the earth. Those liquids are then pumped back up to exchange their heat at the surface. But, geothermal costs a lot to install up front because of all that initial drilling and piping. If your church building isn’t being used a lot during the week, you will likely not be able to recoup the costs of a solar or geothermal system over the course of its life cycle. As a result, we mostly install split or package unit HVAC systems because churches recognize that those systems offer the best deal for their initial install cost to energy use. Some larger projects will install boilers and chillers, because churches recognize the longer-term energy saving those systems could provide. To learn more about energy and other elements of saving money in your church remodeling or construction project, take advantage of our free i3 webinars—simply visit our website to sign up. And keep an eye out for the next installment in our series on saving money, where we focus on energy usage savings once your system is installed.